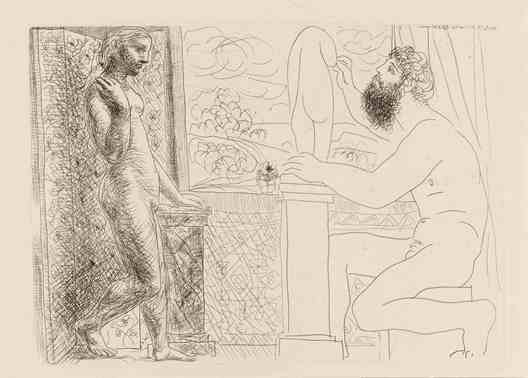 As something of a companion-piece to the Tate’s fabulous Picasso exhibition, the British Museum is showing the full collection of Picasso Prints: The Vollard Suite (until 2 Sept), a series of 100 etchings the artist completed in the mid-1930s. It is one of only a few public institutions to possess the entire series, which became a visual autobiography for the artist. Picasso completed most of them during his affair with Marie-Therese, and the work is enhanced by knowing some of the images he coded into them. For example, the simple vase of flowers on the window ledge was a symbol of his lover. Her classical features link most of the images, both as lover and as work of art – an almost electric charge tangible between the model and the sculptor. 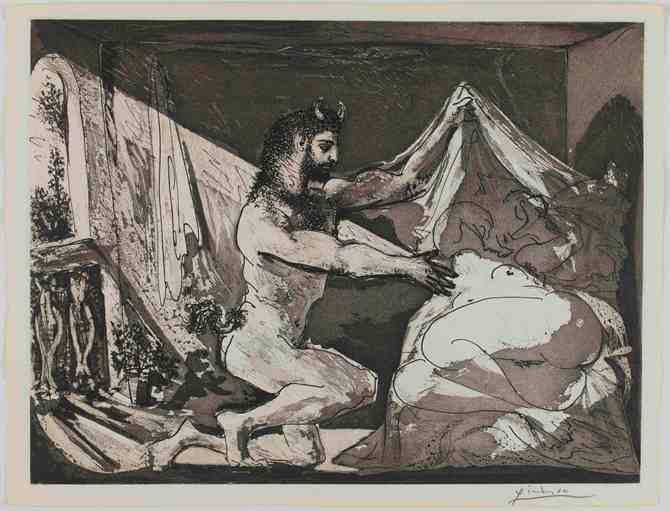 Picasso explores classical mythology, using Ovid’s Metamorphosis to show how art becomes life, and later the symbol of the Minotaur transforms that gentle love into a violent passion. The dark shadow of a looming war begins to prefigure images that would feature in his masterpiece, Guernica.